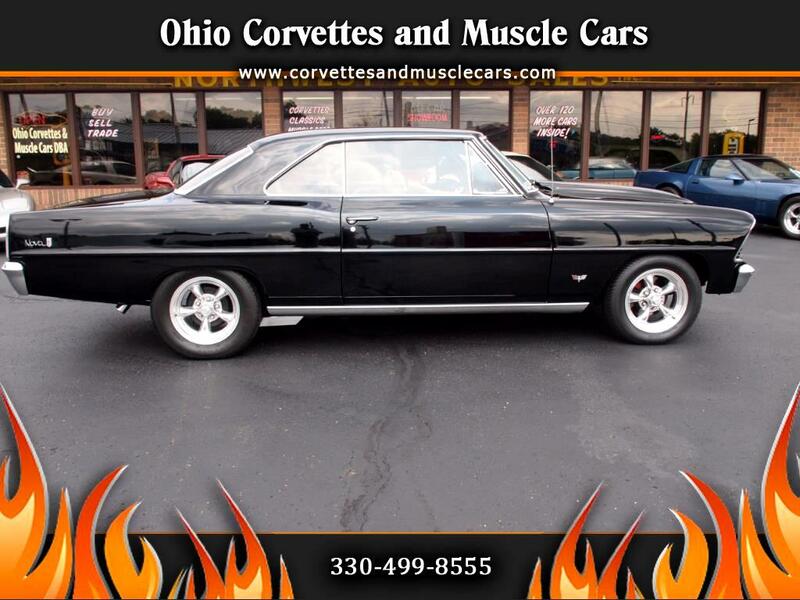 Ohio Corvettes and Muscle Cars is proud to offer this beautiful 1967 Nova for sale. This little gem is immaculate. The paint is near perfect...the interior in like new...and the undercarriage is spotless. The pictures don't lie in this case...the car is as nice as it looks. It is powered by a small block 350 with aluminum heads and a turbo 350 transmission. Stopping is accomplished through a front disc, rear drum system. The workmanship on this car is excellent, as is evidenced by the body gaps. It is one thing to make the parts of the car you can easily see look great, but when the parts that aren't visible look just as nice, you know time and money have not been spared. This car runs and drives as good as it looks...this car is ready to show or cruise...it is a winner at either. Give us a call to schedule a test drive...you won't be disappointed. Message: Thought you might be interested in this 1967 Chevrolet Chevy II Nova.